In 2015, a little more than half of the age cohort passed the exams that will entitle them to matriculation certificates. So where is the other half of the age cohort? 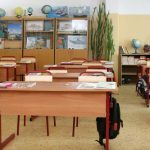 School starts in another two weeks, and the new first graders will be expected to one day become seniors and take the exams that will entitle them to matriculation certificates. However, not all of them will make it: in 2015, a little more than half of the age cohort – 56% — passed those exams. In 2014, the most recent year for which complete figures are available, approximately one-fifth of the relevant age cohort – 19.5% — was not in school. The highest proportions of non-attendance were registered for Haredim – 45.7%, Bedouins residing in the Negev – 36.2%, Arabs (not counting Bedouin or Druze) – 19.7% and Druze – 15.5%. In East Jerusalem, according to an estimate for 2012/2013, the rate of non-attendance was 36% — like that of the Bedouins. The main reason for non-attendance was dropping out. Between the 2013/2014 and 2014/2015 school years, 2.1% of tenth graders dropped out (1,981 students), 5.0% of 11th graders dropped out (4,651 students) and 1.1% of twelfth graders dropped out (942 students), for a total of 7,574 drop-outs. The highest drop- out rates were to be found among new immigrants (since 2006) and Haredim: 16.2% of new immigrants and 15.2 % of Haredim dropped out in eleventh grade. More boys than girls dropped out. To the drop-outs we need to add another group whose chances of matriculating are slim: young people under the charge of truant officers. According to figures published by the National Council for the Child, in 2013/2014 there were 38,200 young people under the charge of truant officers, 62% of them Jews and 32% of them Arabs. Only about a third of these young people were enrolled in alternative educational frameworks: yeshivas or vocational schools operated by the Ministry of the Economy. In 2014, 19.2% of the drop-outs were to be found in Ministry vocational schools and 13.8% in yeshivas. The second answer to the question of “where are the other kids” is to be found in the fact that in a good many small, resource-poor localities, like development towns, the local authority transfers the operation of local high schools to external networks specializing in vocational education. Figures for the two largest networks, ORT and Amal, reveal that in 2014, ORT operated a total of 99 high schools, 38 of which offered academic tracks, 58 technological tracks, and 72 vocational tracks. The picture is similar for the Amal network, which operated 60 high schools: in 21 it offered academic tracks, in 9 technological tracks and in 33 vocational tracks (Both networks are under the supervision of the ministries of Education and the Economy). 71% of the high schools operated by ORT and Amal are located in cities and towns in low socio-economic clusters: 35 in Arab localities, 43 in development towns, and 35 in other localities belonging to socio-economic clusters 1 through 5. In affluent localities, if there is a vocational high school, it is usually located in the low-income neighborhoods. In vocational tracks, with the exception of the engineering track, success rates in the matriculation exams are lower than those of students following academic tracks. In recent years, there has been considerable public pressure to expand vocational education. This pressure is surprising, as in 2014 about 40% of high school students were enrolled in vocational tracks, a proportion that is no lower than that in Western European countries. It appears that the pressure to expand vocational education does not indicate a need for additional graduates of vocational tracks but rather the desire for a different kind of vocational education – for example, the kind of vocational education Germany has. In Israel, vocational education (with the exception of the engineering track) is a residual category, meaning that those enrolled in it were found to be unsuitable for the academic track. In a good many of the vocational tracks, studies are on a lower level than in academic tracks, their graduates do not receive diplomas recognized by employers as qualifying them for a job, and the students complete their studies without any practical training. As stated in a recent OECD report, graduates of these tracks have certificates that lead nowhere. In Germany, in contrast, there is a long tradition of vocational studies accompanied by practical training in enterprises selected by the government. Students receive a salary and for many of them the practical training is the corridor to permanent employment at the workplace at the end of their studies. Salaries and employment conditions are determined by collective labor agreements, and the conditions for recognition at the end of the track are set jointly by employers and labor unions. After graduation, graduates can enroll in technological colleges and, after additional preparation, in universities. If this is what persons pressuring to expand vocational education in Israel want, what is needed is not the expansion of existing vocational education but rather extensive reform: in the level of studies, in the supervision of the Ministry of Education, in labor legislation, in salaries, and in cooperation between employers and trade unions. However, before embarking on such a project, one should ask whether this is the path that Israeli society really wishes to follow. Should we at an early age – the end of intermediate school – decide who to leadership, command and research and who to the assembly line and service occupations? Wouldn’t it make more sense to give all our young people a broad education, including a bachelor’s degree, and only then present them with options for their working lives?